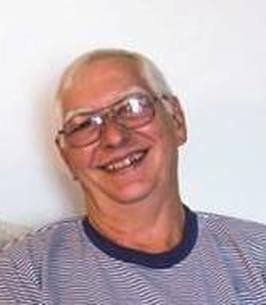 Bruce Thomas Sivert, 70, of New Martinsville, WV died Sunday, October 14, 2018 after a brief stay at Mercy Hospital in Pittsburgh, PA.
Bruce was born April 5, 1948 in New Martinsville, WV. He was a retired employee of Consolidated Coal, a U.S. Army Vietnam veteran, graduate of Valley High School Class of 1966, New Martinsville Moose #931, American Legion Marne Post #28, loved golfing, traveling, bowling, hunting, fishing and playing and watching sports and a member of the Proctor Church of Christ. He was preceded in death by his father, Fred Sivert; brother, David K. Sivert and great nephew, Davie Sivert. Surviving are his wife of thirty-five years, Marsha (Elson) Sivert; son, Todd (Joanie) Bergue of Glencoe, OH; grandson, Thomas Bergue; two step-granddaughters, Alison and Cassandra Johnson; brother, Donald Eugene (Marie) Sivert of Alabama; sister, Margaret Sivert of Oklahoma; special friend, Jan Ditmore; sister-in-law, Donna Sivert of Hastings, WV and several nieces, nephews and cousins. Friends received 4 p.m. until time of service at 7 p.m., Tuesday, October 16, 2018 at the Jarvis-Williams Funeral Home, 1224 S Bridge St., New Martinsville with Greg Morris officiating. Memorial contributions may be made, in Bruce’s name, to Proctor Church of Christ, 250 Plum St., Proctor, WV 26055 or Air Evac Lifeteam 78, 2 E Benjamin Dr., New Martinsville, WV 26155. Interment to be held at the convenience of the family. To send flowers to the family of Bruce Sivert, please visit our Heartfelt Sympathies Store. So sorry to hear of your loss,our deepest sympathy to the Sivert family. So sorry to read about Bruce's passing. He was a great guy and friend. We will all miss his smiling face in our morning golf group.May he rest in peace.